Beautiful Bed and breakfast on the Amalfi Coast in Italy, the bed and breakfast Agerola Haidi House: relax and comfort in nice rooms withwi-fi, parking, garden, solarium, fresh breakfast. Haidi House is pleased to welcome you to its Agerola bed and breakfast, on the Amalfi Coast, surrounded by greenery and relaxation, equipped with every comfort! Haidi House is pleased to welcome you to its Agerola bed and breakfast, on the Amalfi Coast, surrounded by greenery and relaxation, equipped with every comfort! Haidi House b&b offers five elegant double, triple or quadruple rooms with private bathrooms and a mini independent apartment for six people furnished by a kitchen, a bathroom and a private terrace. Each room is bright and spacious, welcomed by a beautiful panoramic terrace to enjoy good times or breakfast outside. The entire area offers free Wi-Fi and each room is equipped with satellite TV. The breakfast buffet is served every morning in the cozy breakfast room or in the up-front garden, plentiful and with a wide selection of excellent fresh products, sweet and savory, typical of the area and delicious homemade cakes. Haidi House Bed and Breakfast on the Amalfi Coast has a parking and a large garden, in common use, with tables, chairs and a barbecue to enjoy delicious grilled food. Contact us to know the best offers and deals. 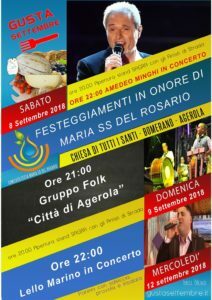 Haidi House b&b is located in the lush valley of Agerola, wonderful resort near the Amalfi Coast in Italy, rich in history, tradition and extraordinary food products. Naples is easily reached from the A3 to Castellammare di Stabia, which is far about 20 minutes. Agerola has a perfect location to easily reach its enchanting surroundings: Amalfi, the famous Positano, the medieval Ravello, the beaches of Minori and Maiori but also the legendary Sorrento, the ancient archaeological ruins of Pompeii and Herculaneum and Naples, rich in culture, museums, theaters and magnificent Royal Palaces. At the reception our multilingual staff will be on hand for information on local events and about the places to visit in the surroundings. The bed & breakfast Haidi House is 100 meters from the bus stop to Amalfi, to visit all the beautiful towns on the Amalfi Coast and nearby. From July to September, a private shuttle service is available to reach Amalfi. Haidi House is the bed & breakfast ideal for delightful walks and hiking trails rich in history as the Path of the Gods, famous around the world, from Agerola to Positano: it's a magnificent route through the nature of the lower mountain that reaches down to the sea. Agerola, in Italy, surrounded by the Park of the Lattari Mountains, offers a dense network of trails through beautiful routes and scenery. 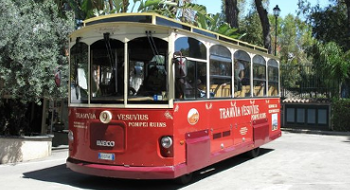 The TramVia is a comfortable means of transportation for visiting the Coast, Caserta Palace and Pompei.